Today I’m confronted with the possibility that Comcast may buy DreamWorks. This should be banned. Last Thursday, I called Comcast to move my service. No matter that I’ve had Comcast on and off (no pun intended) since 1998. Disregard the numerous complaints to the Indiana Utility Regulatory Commission regarding the company’s service, billing, infrastructure problems and varying forms of incompetence. During call #1, the over-eager customer service agent (CSA) disconnected my service then and there, and thus also terminated my call, as it was over Skype. After 68 minutes, service was restored. My new service would change on Monday. And so I moved the ExtremeLabs, small and untidy as it is, to the new location. On late Saturday after the move, I connected my Netgear cable modem, and surprise, it was ready to go. It was fast, not quite as fast as my old rural connection—I’ve moved in town—but there was no fuss and no muss—until Monday morning. The cable modem was unable to connect initially, then coughed the Xfinity Activation Screen. Fine. I called Comcast to get my account number to dutifully register and “get activated.” I had work to do. After a 52-minute conversation with a Comcast CSA, it was determined that they didn’t have and couldn’t register my cable modem’s serial number and Mac address. 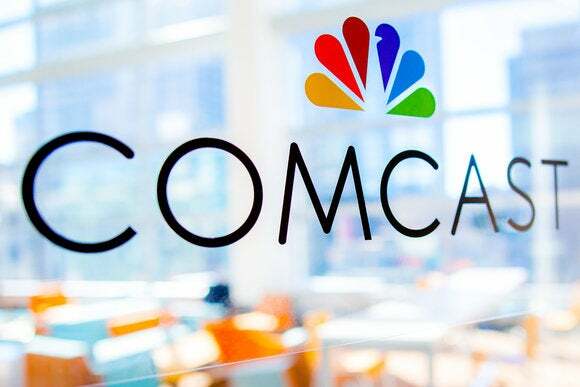 I could hasten the process by visiting the local Comcast office with the information or wait 24 to 48 hours for their request to be tabulated somehow. I made the trip. The Comcast agent at their offices was friendly enough, and her software, unlike the CSA’s software, could register the modem. “All done,” she said. It took her five minutes. I returned to the labs. I installed the modem. I activated it with my account number. I was online. The next problem was that the speed of the modem, as determined by DSLReports.com, was a paltry 680 Kbps down, and 2.4 Mbps up. Another call to Comcast gave me a CSA who tested my line and said everything looked fine but that I had a DOCSIS 2.0 cable modem, which is why I had slow speed. My modem is truly not that old, and a quick check revealed: um, no. Enter Tier Two support, who essentially said that the first CSA was incorrect and that my signal, noise and transmission speed was actually very good. It remained poor. Eventually, I re-terminated the house wiring and the F connectors on the side of the house. I now have 11 Mbps down, and about 3 Mbps up. This is the same organization that wants to buy DreamWorks, after having purchased NBC, etc. Comcast's inabilities are why I consider it and Verizon, which is a suitor to some of Yahoo's assets, sanguinary. Until they can prove they can get the basics correct, they shouldn't buy stuff simply because they want to be a mogul. I hesitated using my own anecdotal experiences to be used as criticism fodder for Comcast, but I’m also backed up by continuous and plentiful corroboration by so many surveys. Get the basics of your organizations correct before you try to become perceived as competent enough to manage acquired assets. Stupid and incompetent + stupid and incompetent = stupid and incompetent. It seems to be a rubric that monopolies can somehow magically become greater than they are through acquisition. One day, a more cogent model will drive the monopoly to its grave. It’s this fear that makes monopolies try to branch out, away from their status as a cash cow. Instead, it’s a fallacy of dim capitalists and worse, proves that quality doesn’t matter to them, only assured profits.